Welcome to Music Friday when we bring you fun songs with jewelry, gemstones or precious metals in the title or lyrics. 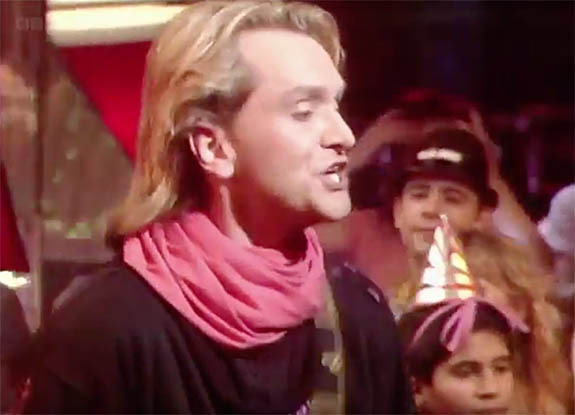 In 1984, British band Wang Chung helped define a generation with its international hit “Dance Hall Days.” The song put a New Wave timestamp on a slew of popular movies and is memorable for lead singer/composer Jack Hues’ “hallucinogenic” reference to amethyst in the final verse. The purple gem is, of course, the official birthstone for February. “Dance Hall Days,” which charted in 12 countries and peaked in the U.S. at #16 on the Billboard Hot 100 chart, was featured in a slew of popular movies, including Bachelor Party, Pretty in Pink, Gotti, Romy and Michele’s High School Reunion, To Live And Die In LA, Adventureland, The Informers and The Fighter. Founded in 1980 by Nick Feldman, Jack Hues and Darren Costin, Wang Chung’s unusual name translates to “yellow bell” in Mandarin Chinese. Wang Chung is also the first note in the Chinese classical music scale. The band scored five Top-40 hits from 1983 through 1987, including “Let’s Go!” and “Everybody Have Fun Tonight.” The band actively toured from 1980 to 1990, and then again from 1997 to the present. Don’t miss Wang Chung’s performance of “Dance Hall Days” at the end of this post. The lyrics are below if you’d like to sing along.